Read Karen’s full story below. 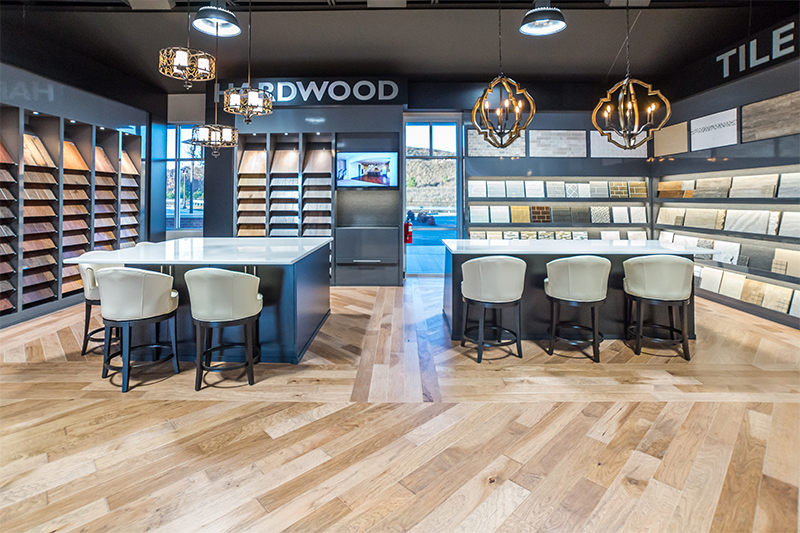 More display area and interactive space, better scheduling options for multiple buyers, great layout to isolate customer attention (focus) to one area and not over stimulate or confuse. Layout gives a hint of what’s to come next. Clean, organized and locations for all samples. Largest, conveniently located, impressed with size and ease of use. Customers impressed right off the bat, better able to showcase included features and available options. Customer survey results:, HHHunt Homes obtained a 7% increase in overall customer satisfaction and the number of dissatisfied customers dramatically decreased by 50% (per our 3rd party reporting) in the year after opening. Buyers being invested in planning for their design selections- wanting information up front, trying to determine what they would want during orientation. 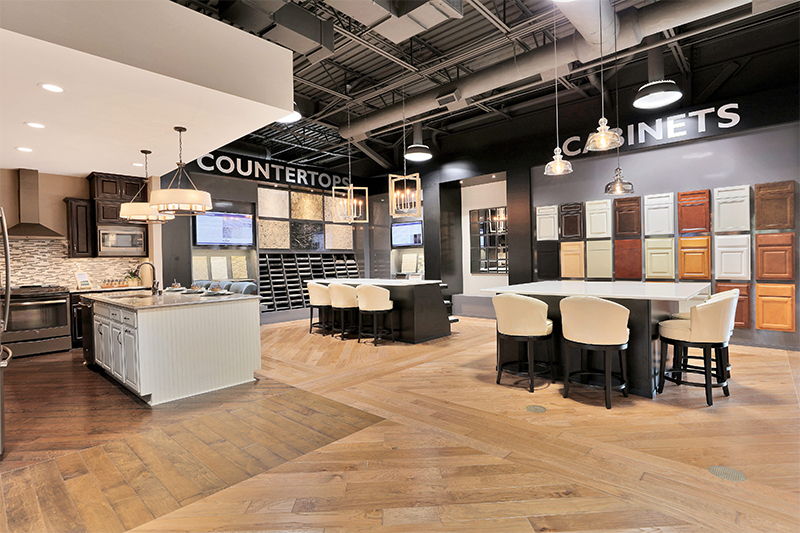 Won the Silver Award for Best Design Center from the National Association of Home Builder’s Sales & Marketing Council 2018 and won Best Design Center in 2017 and 2019 from the Home Building Association of Richmond. 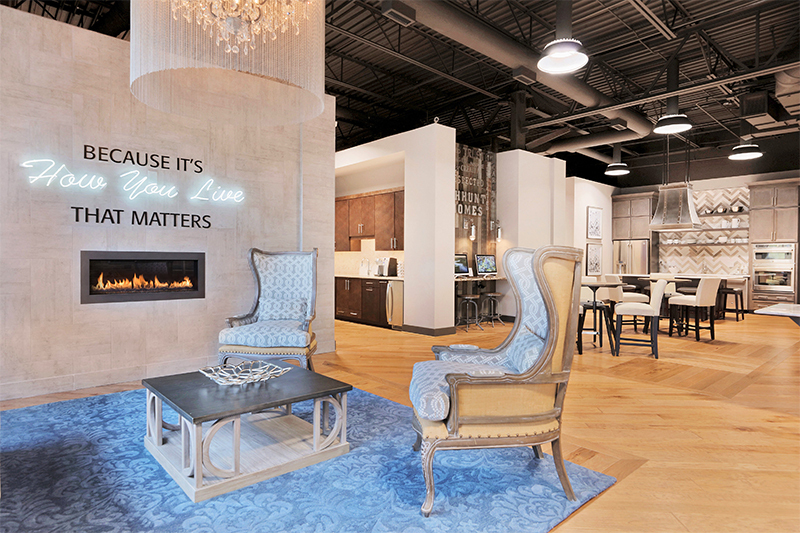 During Design Gallery Open Houses, customers can explore on their own in a relaxed atmosphere and interact through a myriad of innovative vignettes to visualize various styles that resemble their homes. 5. What results have you seen? Better understanding of options and what they will have installed in their home- can see more, interactive displays, more excited about the process. As a result of our exceptional customer service and wide range of products to fit every homebuyer and budget, HHHunt Homes increased selection sales in 2018 by over 10%. 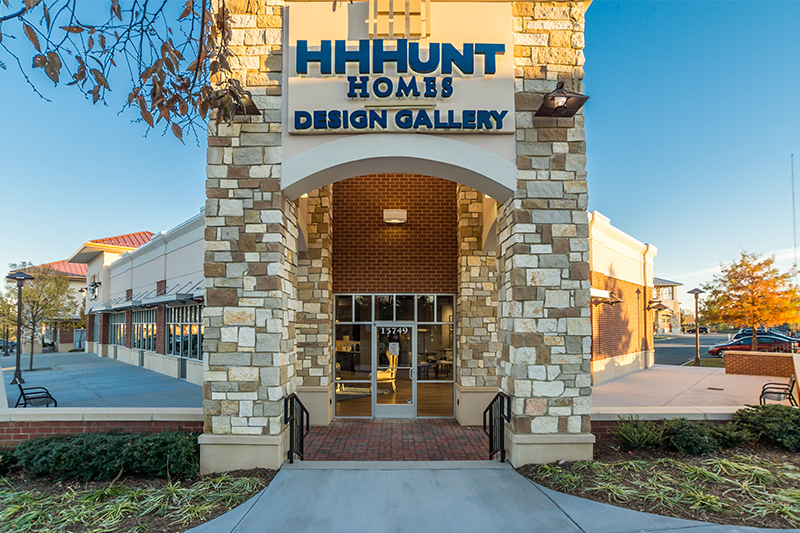 Location and presence of the retail space, strategically located in the hottest new-construction corridor in our market, have helped brand HHHunt Homes in the area. Having our signage in this popular shopping area where people come for food, gas, exercise, etc., contributes to making us a familiar household name, even though they aren’t coming inside our doors unless they are purchasing with us. 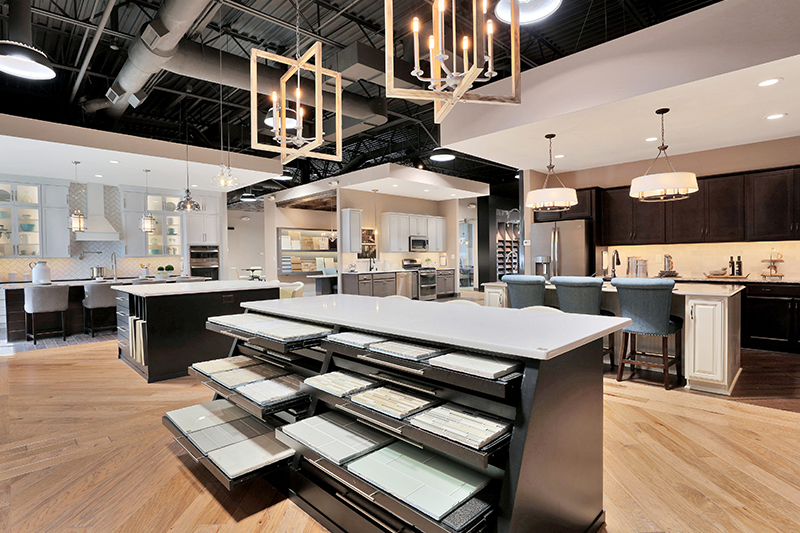 Realtors – we have used the design studio to host community realtor previews, focus groups for new communities, realtor team meetings, and specific networking groups, such as HBAR and the Women’s Council of Realtors. The studio location is familiar to them, even if they have not yet sold an HHHunt Home. Our realtor co-op percentage has increased year over year, to as high as 76% in 2018. Recently filmed a promotional video for our design studio, that we use on our website, social media, touchscreens in our sales centers and in various marketing pieces sent to prospects and realtors. 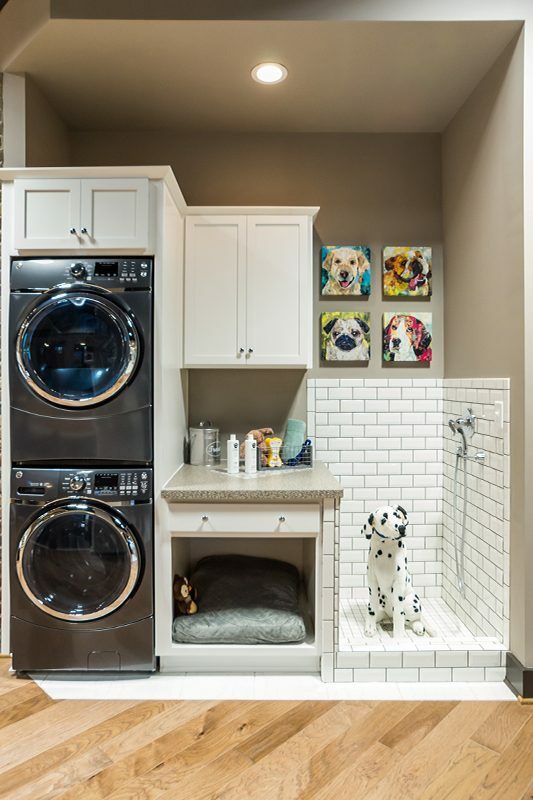 The video showcases the multitude of ways that someone could personalize their home; but more importantly, details the process our design professionals use to make sure the selection process is a comfortable and exciting time for our homebuyers. 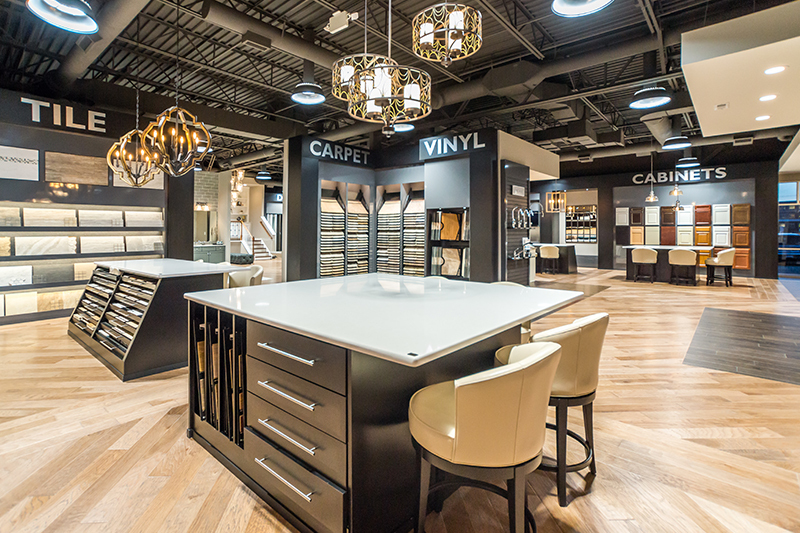 We have hosted a number of events for both realtors and prospects allowing them to tour the space and understand how the selection process works within the design studio. These events also allow attendees to meet our team of design professionals. We promote our design studio in our direct mailers/eblasts letting our readers know how they can personalize their home with the latest design trends. At HHHunt Homes we believe it’s how you live that matters and are committed to SimpliFi the lives of our customers through our new smart home package. The award is mentioned on the touchscreens in each of our sales centers. We created a sign promoting our national award that is installed near the entrance of each of our sales centers. We also promoted the award on our social media pages. 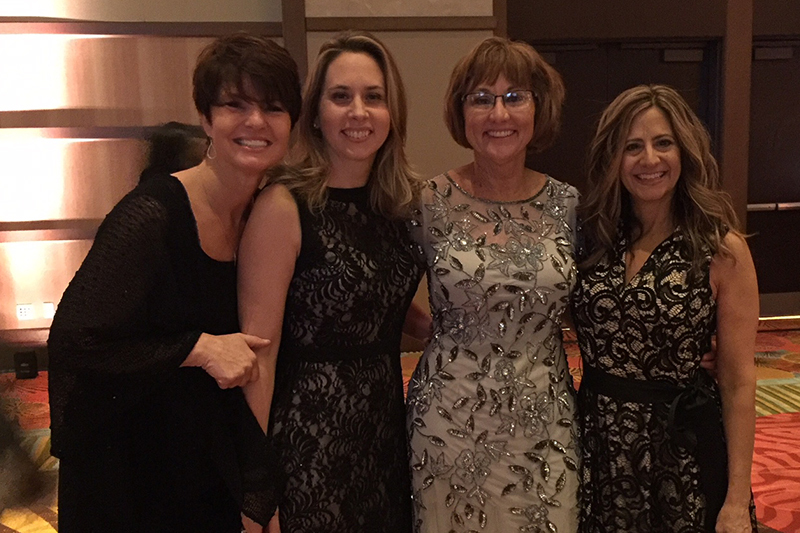 Jane Meagher and Karen Shelly celebrate with friends at the 2018 Nationals in Orlando.